Oh, to be a Sea Otter. Ever since a 6th grade science report I have been hooked by their cuteness, curiosity, and their ability to just have fun. They also love to nap. And I appreciate anyone who likes a good nap. 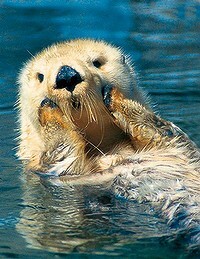 As you may know, the California sea otter (Enhydra lutris) is an endangered species. Since they were nearly hunted to extinction for their fur from 1741-1911 they have had trouble recovering their once large numbers. Through a ban on hunting, conservation efforts and a surrogate reintroduction program spearheaded by the Monterey Bay Aquarium their numbers are steady, but not numerous. Unfortunately, by law they have been restricted to a small portion of our coast for many years. If otters were found living outside this human created line, or the “otter free zone” stretching from Point Conception to the Mexican boarder, they would be relocated. But in December of 2012, it was decided that this ban would be lifted and the otters can return to their full native swimming grounds. One of the best places to see sea otters up close and better appreciate their adorable playfulness is at the Monterrey Bay Aquarium. The sea otter exhibit just went under a retrofit and reopened. They have many new otters who have joined the group. Some will be on display and some will be used in their surrogate program (SORAC) where orphaned pups are brought to the center and a surrogate mom teaches them all things otter. 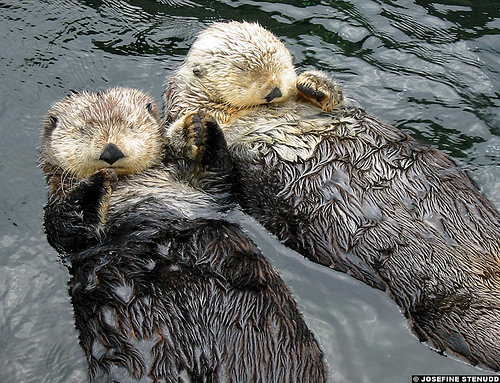 Many groups are working to keep the sea otter population strong and healthy. It’s almost tax day, did you know you can donate money right on your tax form? In 2012, Californians donated $351,037 to the program. So far, the program has raised over 1.7 million dollars since it was created. We need your help to keep this program alive! They help fight climate change! By eating animals such as urchins that eat kelp forests they keep these carbon sequestering forests healthy and alive. Otter fur is soft and dense, they have 1 million hairs per square inch. Otters can eat so many sea urchins in a lifetime that their teeth and bones can be stained purple. Otters only have one pup. 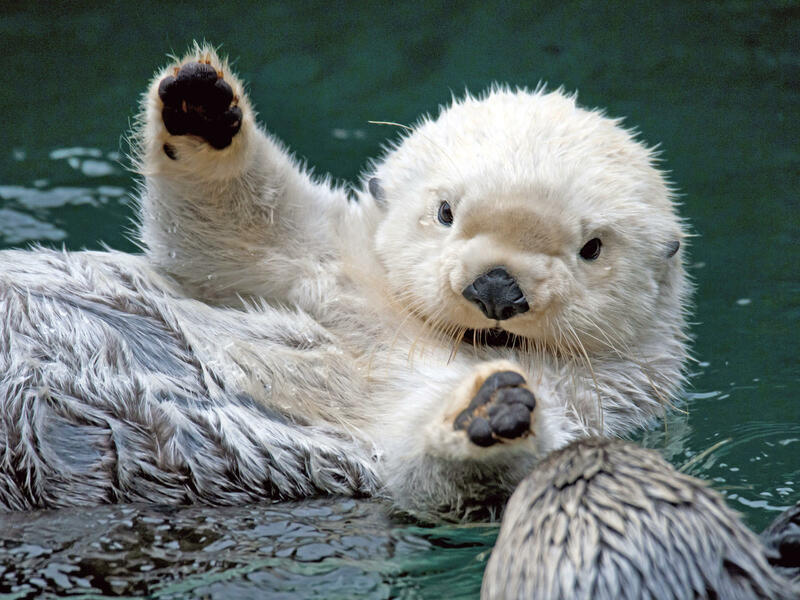 Otters have retractable claws like a cat.